What inspires your fly style? I love girly, yet edgy, but bold looks. I love styles out of Elle magazine! What makes you a Natural Beauty? Just loving the skin that I'm in. I'm 24 yrs old and I've been natural mostly my whole life and that's the way I was my hair was made and that's the way it's going to stay! 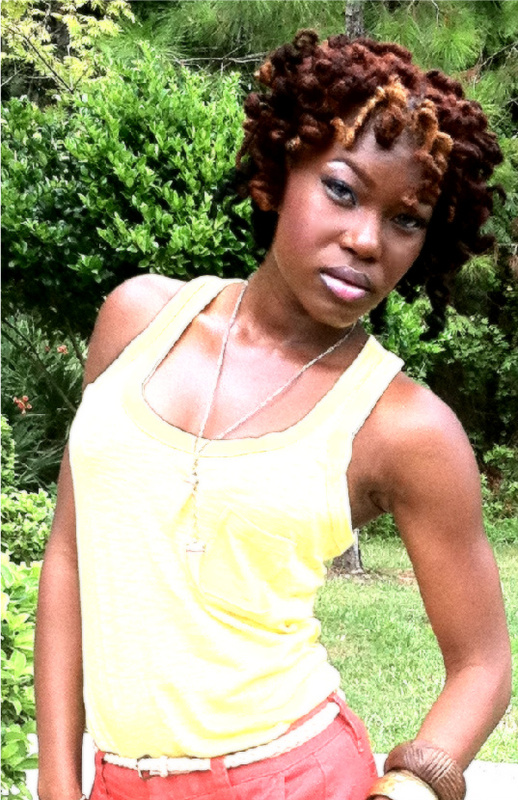 Natural girls rock!! How do you like to rock your natural hair? Locs! But I rock them in styles of a person who has loose hair. 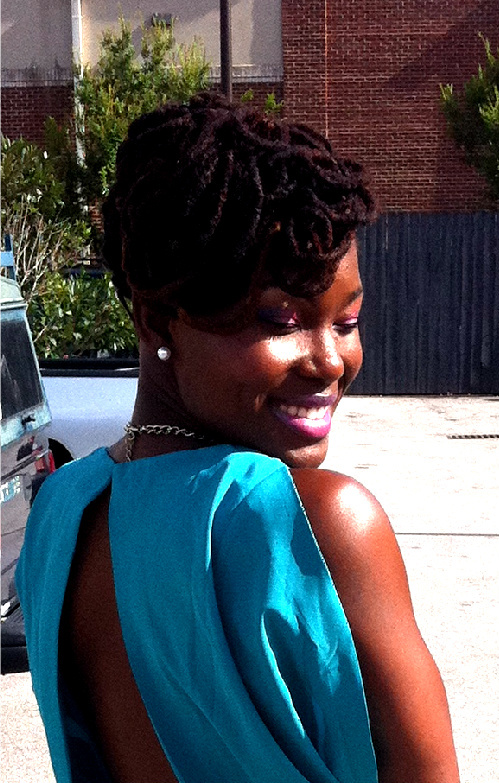 Updos, rolls, curls, knots, flat twists, even had curly weave Mohawk with my loc's flat twisted on the sides. What advice would you give to others thinking of going natural? Research!!! Research as much as you can about your natural hair, products, ingredients, styles, & what's just best for your hair overall. Where can people find you? My Tumbler page is Ebony Lunsford.